Gorgeous ceremony arches and backdrops transform a blank wall or clearing in the woods into the magical space where you’ll soon say “I do.” Ceremony arches and backdrops are an easy way to grab your guests’ attention and reflect your personal style with florals, beautifully draped fabric, macramé, or something totally unique. We’ve rounded up over 50 of our most eye-catching, head-turning ceremony arches and backdrops to inspire your own stunning ceremony focal point. photo by Julia Wade Photography, wedding design by Nikki Potgieter, floral design by Opus Studio; see more from this feature here! Shop similar arch. 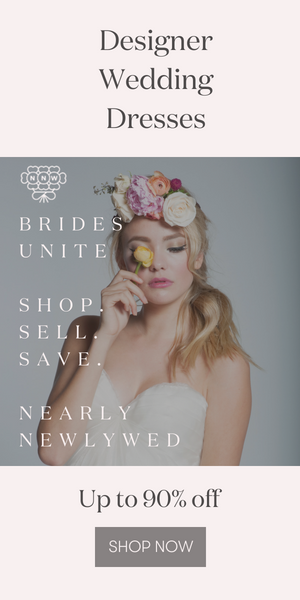 photo by Let’s Frolic Together, wedding design by Sweet Emilia Jane, floral design by Shindig Chic, rentals by Town & Country; see more from this feature here! Shop similar arch. photo by Photography Anthology, floral design by Enchanted Florist, rentals by ; see more from this feature here! Shop similar arch. photo by Olivia Strohm Photography, floral design by Tribes ‘n Pines; see more from this feature here! photo by Chelsea Denise Photography, rentals by Kahoy Studios; see more from this feature here! Shop similar arch. photo by Yoris Photographe, wedding design by Jenny Morel Weddings and Wedays, floral design by Elizabeth Delsol; see more from this feature here! photo by Zoe Morley Photography, wedding design by Tea Cup Events, floral design by Blooms of Bowral, rentals by Your Event Solution and The Vintage Way; see more from this feature here! Shop similar arch. photo by Bradford Martens, wedding design by Stephanie Fagyal, floral design by Mary Tuttle’s Flowers, rentals by Grand Rental Station; see more from this feature here! photo by Lauren Scotti Photography, wedding design by Styled By Katie, floral design by The Bloomin Gypsy, rentals by Planks & Patina; see more from this feature here! photo by Justin Kunimoto, floral design by Nature Composed; see more from this feature here! Shop similar arch. photo by Vic Bonvicini Photography, wedding design by Taylor Dawn Design, floral design by Bloomin’ Bouquets; see more from this feature here! photo by Anni Graham Photography, floral design by DeLaurenti Florist, rentals by Unique and Chic Rentals and Design; see more from this feature here! photo by Gina and Ryan Photography, wedding design by Emilie Duncan, floral design by Neil Leeson, rentals by Event Source; see more from this feature here! photo by Vafa Photography, floral design by Rock River Farm; see more from this feature here! photo by India Earl; see more from this feature here! Shop similar arch. photo by Grant Daniels Photography, floral design by Bricolage Curated Florals; see more from this feature here! photo by Zoe Morley, wedding design by Byron Bay Weddings and The Wedding Shed, floral design by Poppy & Fern, rentals by The Wedding Shed; see more from this feature here! Shop similar arch. photo by Tu Nguyen Wedding, wedding design by Hatmem, floral design by Hands & Heart; see more from this feature here! Shop similar arch. photo by Natalie Puls, wedding design by Ariana Altiery, floral design by M K Carroll Designs; see more from this feature here! photo by Nakalan McKay, floral design by Honor Flowers, rentals by Peter Corvallis Productions; see more from this feature here! photo by Laura Rowe Photography, floral design by Emblem Flowers; see more from this feature here! photo by Alex Lasota Photography, wedding design by Tin Sparrow Events, floral design by Simplified Celebrations; see more from this feature here! photo by Finch Photography, wedding design by Castleton Farms, floral design by Samuel Franklin Floral Design, rentals by All Occasions Party Rentals; see more from this feature here! photo by Amber Phinisee, wedding design by Karla Shand, floral design by Ashley Corbitt; see more from this feature here! photo by Vic Bonvicini Photography, floral design by Boukates; see more from this feature here! photo by a sea of love, floral design by Haute Floral, rentals by Bella Accento, M&M Rentals, Fox Rental, and ES Events; see more from this feature here! photo by Oak & Myrrh Photography, wedding design by Fresh Look Design, floral design by From The Potting Shed; see more from this wedding here! photo by Lamb & Meadow, wedding design by Glenda Wise, floral design by The Bamboo Orchid; see more from this feature here! photo by The Colagrossis; see more from this feature here! photo by Diktat Photography, wedding design by Call Me Madame, floral design by Bloomz Fine Flowers, rentals by Bali Event Hire and Supply & Demand; see more from this feature here! photo by Eastlyn Bright; see more from this feature here! photo by Chelsea Diane Photography, wedding design by Antonia Christianson, floral design by Kate Fiore Floral Design; see more from this feature here! photo by Jessica Heron, wedding design by SueBlue Events, floral design by Tribes N Pines, rentals by Vintage Meets Modern and SueBlue Event Rentals, backdrop by Work/Shop PDX; see more from this feature here! photo by Chris and Ruth Photography, wedding design by Glückskonzepte, floral design by Classy Flowers, rentals by Der Platzhirsch; see more from this feature here! photo by M. Felt Photography, wedding design by Forevermore Events, floral design by Bloomers; see more from this wedding here! photo by Peyton Rainey Photography and Chelsea Denise Photography, floral design by Forever Cole Events, rentals by Borrowed Charm; see more from this feature here! photo by Swak Photography, wedding design by Inspired Help; see more from this wedding here! photo by Julia Madden Sears, macrame backdrop by Barton Craft and Design, floral design by Philo Floral; see more from this wedding here! photo by Brett & Jessica, floral design by Sassafras Fork Farm, rentals by American Party Rentals; see more from this wedding here! photo by Melissa Marshall, ceremony decor by The House Phoenix, floral design by Juniper Designs; see more from this wedding here! photo by Cassie Loree Photography, wedding design by Blooming House Creative, floral design by The Stalk Market; see more from this feature here! photo by Stephanie Sorenson, rentals by Art Pancake; see more from this feature here! photo by Our Love Is Loud, wedding design by Hey! Party Collective, floral design by Lale Florals; see more from this feature here! photo by Richard Cao; see more from this feature here! photo by diktat photography, wedding design by Luxury Events Phuket, floral design by IAMFLOWER; see more from this feature here! photo by Mallory + Justin, wedding design by Kirkbrides, floral design by Blooms by Plantscaping; see more from this feature here! photo by Mango Studios, wedding design by Event Wise, floral design by A Petal or Two; see more from this feature here! photo by The Image Is Found, wedding design by Castleton Farms, floral design by Samuel Franklin Florals, rentals by All Occasions Party Rentals; see more from this feature here! photo by Amber Phinisee, wedding design by Alexandra’s Formals, floral design by Roy Lamb, rentals by Southern Vintage and Lake Oconee Rental; see more from this feature here! photo by Erin Wheat Photography, floral design by Hops Petunia; see more from this feature here! photo by Apel Photography, wedding & floral design by Bambu Indah; see more from this feature here! photo by Emily Delamater Photography, wedding design by Take Off Events, floral design by Coco Design Company; see more from this feature here! Looking for more ideas for ceremony arches and backdrops? Check out these 23 utterly romantic ceremony arches for your big day! *This post contains affiliate links, which means we might make a small commission if you end up purchasing a product from one of our sponsors! Thanks for your support! Wow!! So nice! Love these photos so much. They add so much to a wedding ceremony, so rustic and pretty!